BMW M5 e28 front and rear seats. Very good condition, like new. Price for rear seats: 500$. Price for all seats (driver, passenger and rear seats): 1500$ If you have questions fell free to contact me. M5 Full Interior Included Both Front Seats and Full Rear Seats. Local Pick up only from Island Park NY, you would need to. The kit is for front M5 seat kit only. Archived photos attached of the seat type as an example only in black and grey. The material is German vinyl. The example color is NATURAL. We use BMW specs for stitching patterns. The kit is for front M5 model seats. Archived photos attached to show an example only. The material is LEATHER. The example color is SILVER GREY and also BLACK. The kit is also available in other colors. SEAT IS IN USED CONDITION SHOWS SIGNS OF WEAR AND SCRATCHES/IMPERFECTIONS. IMPORTANT FOR US. Item may show sins of wear, light scuffs, scratches or other imperfections as a result of this being a used part. Pulled from a 2006 BMW E60 M5. In good shape Black Leather Sport seats. All switches are included. Function perfect with minor wear from normal use. See pictures. Included in price is freight to the lower 48. BMW E34 525 530 535 540 M5 Dove Grey Comfort Seats. Buyer is responsible for arrangement of pickup or freight pickup. Up for sale is as stated in the title. In full working order unless otherwise specified. I have many other parts off this and similar vehicles. Item is used and may have signs of wear such as scratches, scuffs etc. 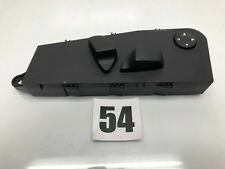 2012-2016 BMW F10 M5 REAR SEAT BLACK LEATHER OEM. SEAT IS IN GOOD USED CONDITION AS SHOWN ON PICTURES. IMPORTANT FOR US. Item may show sins of wear, light scuffs, scratches or other imperfections as a result of this being a used part. 2004-2010 BMW E60 M5 COMPLETE SET OF THE ACTIVE SPORT SEATS IN BLACK COLOR. NOTE: REAR BACK SEAT TOP ARMREST/CUP HOLDER COVER DOESN'T CLOSE pic#10. Item may show signs of wear, light scuffs, scratches or other imperfections as a result of this being a used part. The kit is for front M5 model seats. Archived photos attached to show an example only. The material is LEATHER. The example colors are BLACK and LT. SILVER. The kit is also available in other OEM colors. 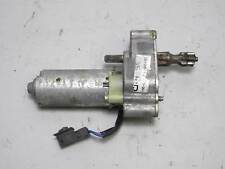 This is the OEM BMW front power seat forward backward motor Right (passenger) out of a 2000 528. This motor moves the front seat forward and backward. E38 E39 97-03 525 528 530 540 740 750 M5. We will do our best to resolve any issues. Those seats will fit all M5 2006-2010 and regualr 5-series sedan from 2004-2010. 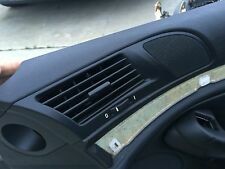 However; I think door panels will fit 2006-2007 M5. and 2004-2007 5-series. Front seats are ACTIVE ///M MODE SPORT, and they're heated. The kit is for front M5 seat kit only. Archived photos attached of the seat type as an example in black and grey. The material is German vinyl. We use BMW specs for stitching patterns. NEW UPHOLSTERY KIT BMW E34 540 535 525 M5 SPORT SEAT KIT NEW GERMAN VINYL M5. BMW E28 528i 535i M5 UPHOLSTERY SPORT SEAT KIT PACIFIC BLUE 100% LEATHER BEAUTIFUL NEW. The material is OEM German leather. The example color is OEM PACIFIC BLUE. We use BMW specs as guidelines. Center foam cushions included. Will fit M5 2000-2003 with folding option. The front seats are HEATED. The rear seats are folding type and have the ski bag. Those seats are in good condition. I the two front seats are installed in my 2001 750iL as shown in the last pictures. This is a used seat belt latch boot removed from the passenger side of a 1994 530i. It's in good condition but does have a couple small cuts as shown. M5 2000-2003. I prefer local pickup. Those are sport and heated. 7-series 1999-2001. This is a used RH front seat front tilt motor removed from a 1994 530i. It's in good, tested, working condition. This is a used RH front seat track motor removed from a 1994 530i. It's in good, tested, working condition. FOR SALE PAIR OF 06-10 BMW M5 E60 OR 550I SPORT SEATS. THESE WERE REMOVED FROM A 2008 BMW M5 THAT WE PARTED OUT FEW YEARS AGO. New BMW flex shaft vertical seat adjuster. We have hundreds of BMW parts from most models. There are scratches, stains, and other wear throughout this seat. The boslters have scratches, fading/discoloration, and a deep scrape/slit (11th photo). 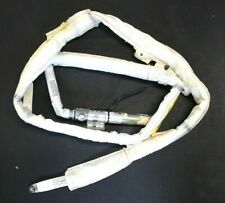 IS A 2003-2010 BMW E60 M5 OEM POWER STEERING LINES. DONOR VEHICLE: 2006 BMW E60 M5 WITH 55K MILES. WHAT YOU SEE IS WHAT YOU GET. 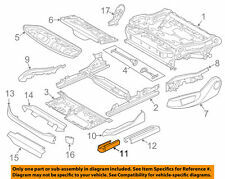 We have hundreds of BMW parts from most models. This is from a car with non-folding seats. we are not satisfied until. This is the OEM BMW front power seat back recline motor Right (passenger) out of a 2000 528. This motor moves the seat back to recline backwards and forwards. This is one of the two recline motors.